We spent the rest of the day trying to convince Matt to ride Kingda Ka. Looking up at its 456-foot drop, it kind of takes your breath away. It’s nearly as tall as the Montreal Tower, the world’s tallest inclined tower, which we climbed in the securely contained comfort of a funicular, not in an open coaster car. So, we were brave enough to go up in the cable car. But see that green towering coaster track in the distance? That’s Kingda Ka. 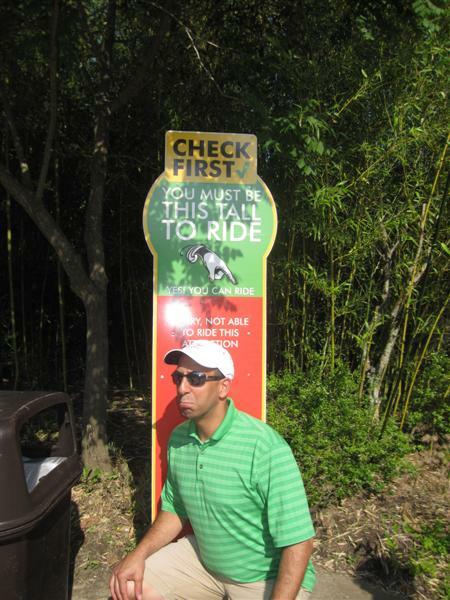 He tried to convince us that he didn’t meet the height requirement. I thought he was 6’1″. Ultimately, the “line was too long.” He tried to make amends by riding the Runaway Mine Train with The Boy, which in coaster terms is like riding a bike with training wheels. 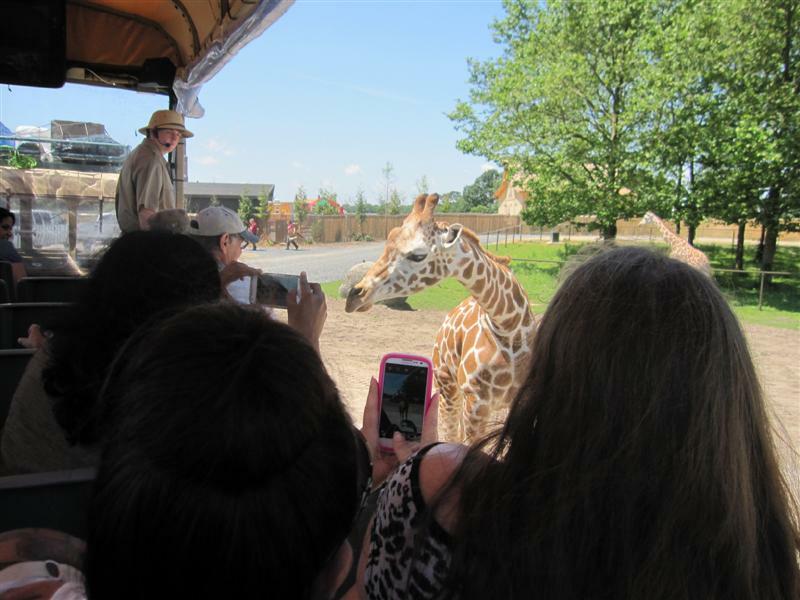 Obviously, there’s a lot more to do at Six Flags, and we filled our day in the Bugs Bunny National Park for little kids, Fantasy Forest with its classic carousel and teacups ride, and the Lakefront area with its Jolly Roger ride. Our bravest venture was to ride the Skyway cable car from Frontier Adventures to the Lakefront! 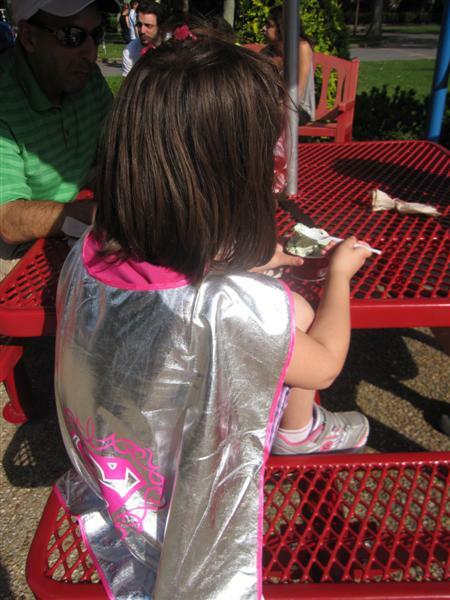 The day wound down, as all the best days do, with the purchase of a shiny new superhero cape and a cup of ice cream. 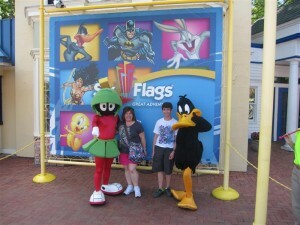 Disclaimer: Six Flags Great Adventure provided my family with media passes to visit for the day. That place looks awesome! All in the name of blog research I’m sure…. No way I would have gotten on that roller coaster! 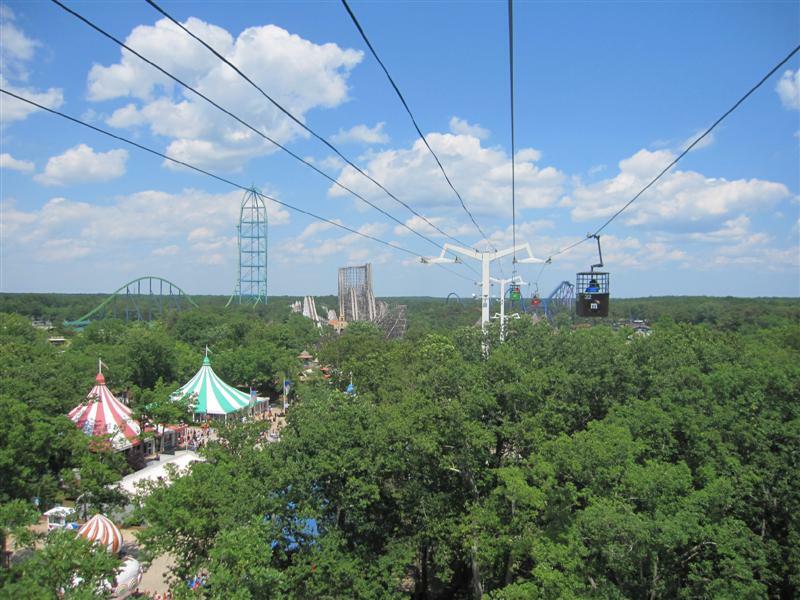 We went on Kingda Ka last year (our friend convinced us we had to)… I was so scared to go on until I saw a 10 year old in line before me who thought I was crazy when I asked him if he was scared. The good thing is the ride takes about 5 seconds – ha. Glad you guys had a good time! Yeah, but those kids are fearless! I never take a 10-year old’s word on anything! 🙂 Thanks for stopping by! What a fun day for the family. 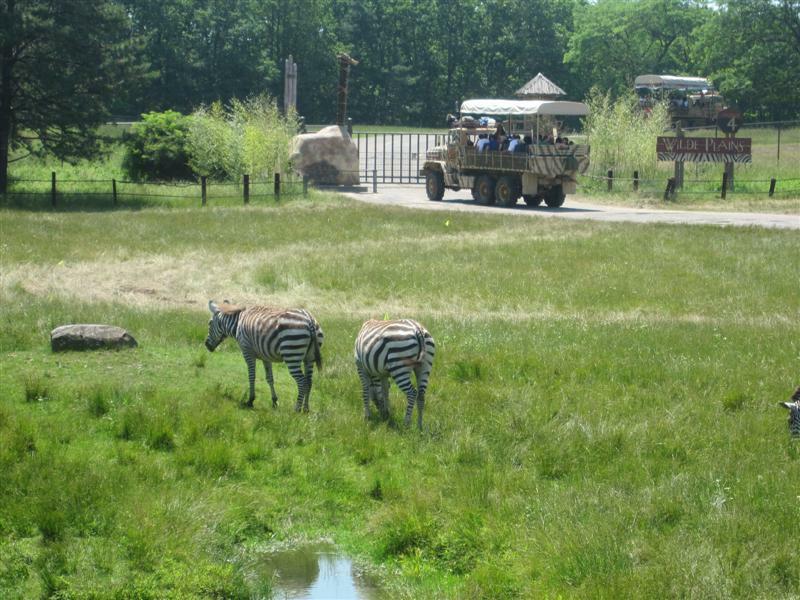 I bet I would enjoy the safari ride. The new safari looks great – had you ever been to the old one where monkeys would jump all over your car? It was a lot of fun!